Fur: A Faux Pas or Just Awesome! This is awesome. Is this chick serious? Seriously foxy. Get it, get it… Foxy!!! I am so funny. Alright, enough “adult” humor (as in cheesy), let’s get down to business. This is insane and I am not quite sure what set of eyes to look at. Even if you live in Alaska this is not cool. 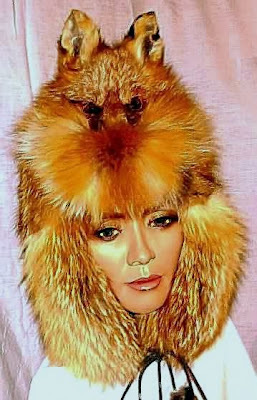 I mean, it is cold, but you do not need to actually WEAR the animal! No matter whether you love or hate fur, we should ALL hate this. In actuality, I do love fur. Sorry PETA. I know it is wrong and mean, but it looks so damn good and feels so damn warm! Why be good when being bad literally feels so great! 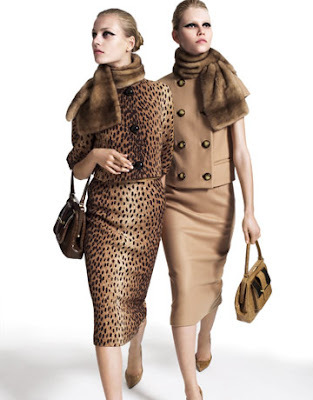 There are levels of fur that are unacceptable (example at left), but using fur as an accessory is perfectly acceptable and looks very stylish. Think hats, scarves, earmuffs… You get the idea. All of these girls are doing it, so why not become part of the “cool” crowd? I can hear PETA tearing me a new one right now…. I am half kidding, save the animals! Or wear them stylishly…. Your choice:) I do love this ode to Russian chic with a big fur hat. Clearly you have to be very secure in your style to pull off something like this. Either you rock this in the backwoods because you are so freakin’ cold it doesn’t matter what you wear or you pair it with a very chic and fashionable outfit and look like you just walked off a runway. Again, your choice. I am not making judgments here:) (Yea, right). I think fur is appropriate and fine in some cases. It was even necessary once upon a time in colder climates (think Alaska, Russia, etc) and still really is one of the best ways to keep warm. However, gratuitous use of it is sad, especially when the animals are mistreated, tortured or abused. Fur, like most touchy issues, should be approached with intelligence and knowledge. If you’re going to wear it, know where it came from. Have a reason for doing so. Saying “never wear fur” is as ignorant as wearing it with no regard for where it came from.